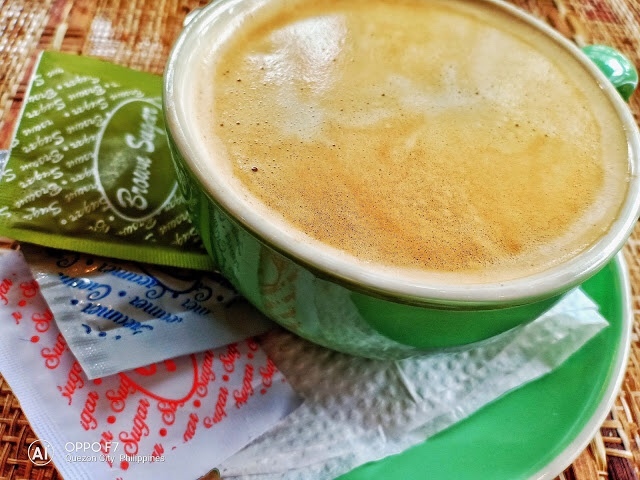 The Philippines is blessed with a rich culinary heritage and the rest of the world still has to discover what we are as a nation, our food included. Located at the corner of Scout Castor and Tomas Morato in Quezon City is a little known restaurant called PALM GRILL. I’ve been here a couple of times because of events by GMA and private companies - and I was happy because it’s in my neighborhood. I could literally walk from my house to there in just a few minutes. I wanted to actually go on a solo adventure to Zamboanga and its neighboring provinces, but when I booked flights to that region I think I always get bumped off or got cancelled (twice) and security wise I was advised to tone down my looks and not look like an almost 6 foot lad with blond hair so I wouldn’t stand out from the crowd. I dreamt of doing street photography, to mostly people and even for once, maybe catch a glimpse of a real deal Vinta, a boat which can only be seen in that place. It never came true, so I was a little sad I couldn’t tick that off my bucketlist. Aside from that, when I went to Sabah Malaysia a couple years back, I got a glimpse of the food I wanted to have from that region. Apparently, most of their dishes are similar with what is served on a daily basis in the Southern part of the Philippines, which I have checked and confirmed. I knew I couldn’t live without trying the real thing, real Southern Philippine dishes that caught my eye. The place can probably pack a little over a hundred people. 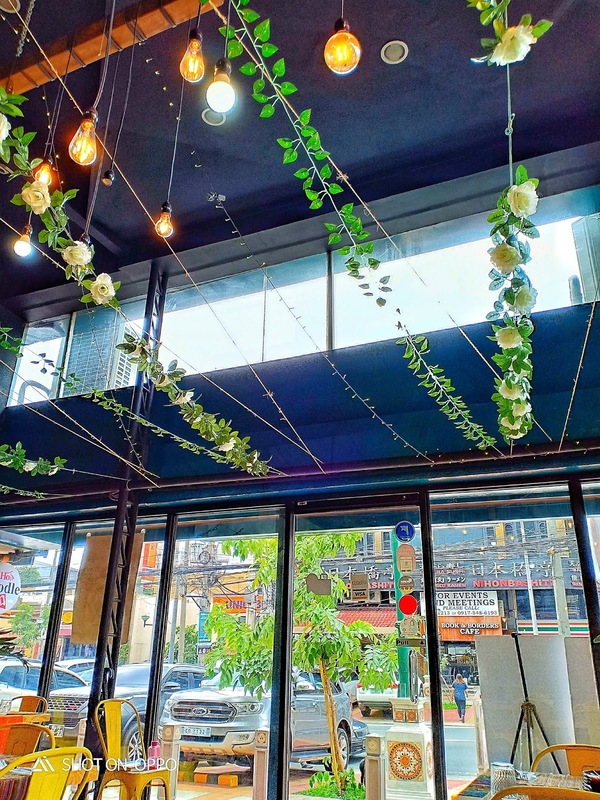 It’s got two floors where you can also find your spot as it’s interiors are fit with flowers and leaves, which I find to be all instagrammable if there is such a word. The top floor is like a loft, perfect for small functions or parties. They do accomodate that so if you’re looking for a good meal (with new food) this would be a nice place to book. The second floor is just as pretty. I think they have spent a lot of time thinking about the interiors using wood, bold colors as base, and I think it works. Now I mentioned I have dined here previously right? I remember having this Green Chicken that time so I wanted to have it again during this small luncheon. It did not dissappoint. The chicken wreaks of coconut their house spice base which reminded me a lot of Malaysian and Indonesian dishes I had in the past. I must admit this is my favorite. Imagine having this and piping hot white rice on a rainy afternoon, it’s like a different kind of comfort food. During our lunch, we were invited to try their newest item on the menu. They call this Tiyula Itum. 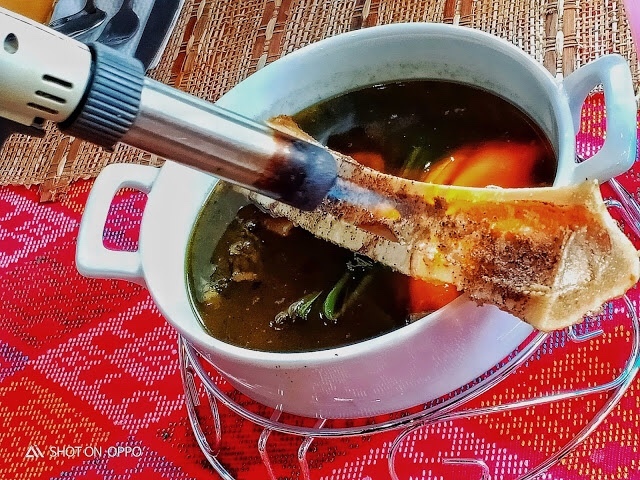 It’s a Tausug dish similar to our local Bulalo, but it’s got this intense herby but mildly spicy beef flavor. They brought this here because they knew Tomas Morato was quite a competitive place for restaurants. This would defintely make them stand out. You can also ask them to adjust the spiciness of the dish if you prefer a spicier one (which I do by the way) and they would gladly do it for you. 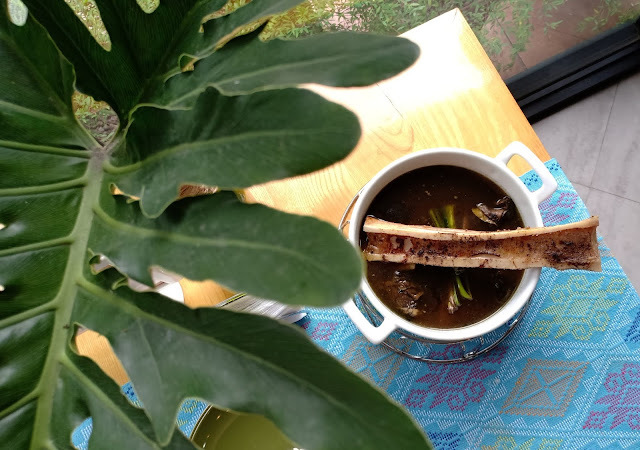 They serve this with a little flare, with a live torched bone marrow which you can scoop off and mix in with your rice and broth. If you’re like me who wants the perfect spoon, this is so sinful but so worth it. The broth was hot, has chunks of meat boiled for hours so it is ideal to have this while it’s hot. This is their version of the Zamboanga Knickerbocker which they call Kinicker Iced Treat. 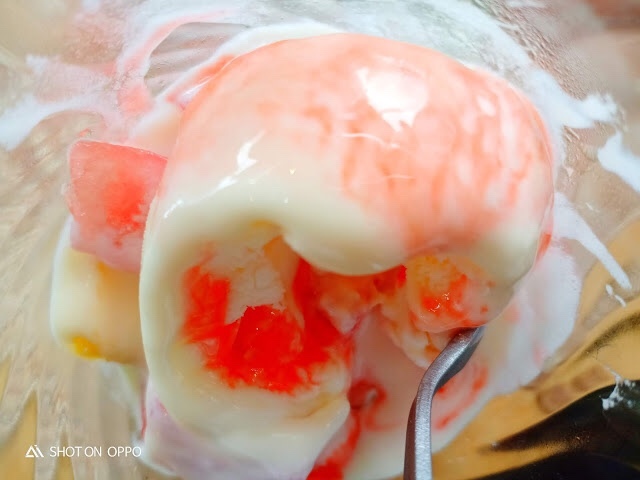 Think of it as a Halo Halo on steroids because it’s got lots of local fruit pieces, ice cream too. I think this would be one of the things you should order to end the meal, especially if you’re a sweet tooth. They also have a mean coffee. If you’re just around the area and looking for a place to chill, this could be a good place to start before you run amuck and spend the night clubbing. The food is authentic as it gets because they source their ingredients from Zamboanga. They also have CURACHA with Zamboanga Sauce which I also suggest you get for your meal. Make sure to bring family and friends because the service is not intrusive (which I like) but you can talk to them casually, if you’re just having a drink, that can be done. If you wish to know more about the place, check out their instagram account @palmgrillph and their social media channels, just search! Call 3731688 or 545177. They are open everyday 11am to 11pm. Go start your Mindanao journey at Palm Grill. I am obsessed with their Green Chicken!